Today I am introducing a new weekly column My Lifestyle Must-Haves & Favorites, which gives you a peek into my everyday life on things I love + do the most. This week its all about my bathroom essentials, I am a minimalist and when it comes to the necessities of a bathroom I don’t use much, I don’t even own a hairbrush, so now you are probably wondering What Do I even know about the essentials. Well I am not a woman of many products + my list may not be anything new but here are a few of my favorite things that my bathroom is never without. 2. Every bathroom needs soap + I can’t seem to get enough of the Aesop Hand Soap. The scent Mandarin Rind, Rosemary Leaf, Cedar Atlas is so relaxing + not overpowering. 3. My one regime that is a must is taking care of my skin. Chanel Hydra Beauty Gel Face Cream, Le Lift Eye Cream + toner are the only products you find in my cabinet, living in Colorado’s dry climate I can't express enough how important it is to keep my face moisturized. 4. 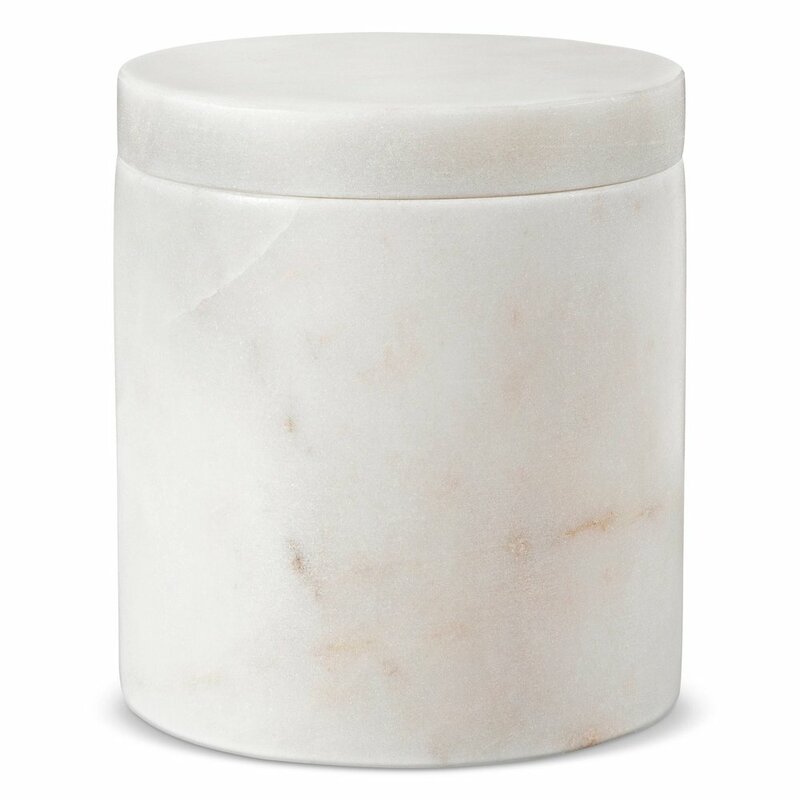 Like I said I am a minimalist so marble container is the perfect thing to fit all my daily essentials like mascara, eye lash curler, make-up brush + lotion. + what I like the most is that it looks good left out on the counter for easy access to your items. 5. My Diptyque Paris Baies Scent Oval is just the perfect amount of scent to keep my bathroom filled with sublime. Newer PostStill at its BEST!